A PREVIEWS Exclusive! In the third episode of Rick & Morty Season 3, Rick transforms himself into a pickle... This special Previews Exclusive version features pickle rick in all his useless, limb free pickle glory! 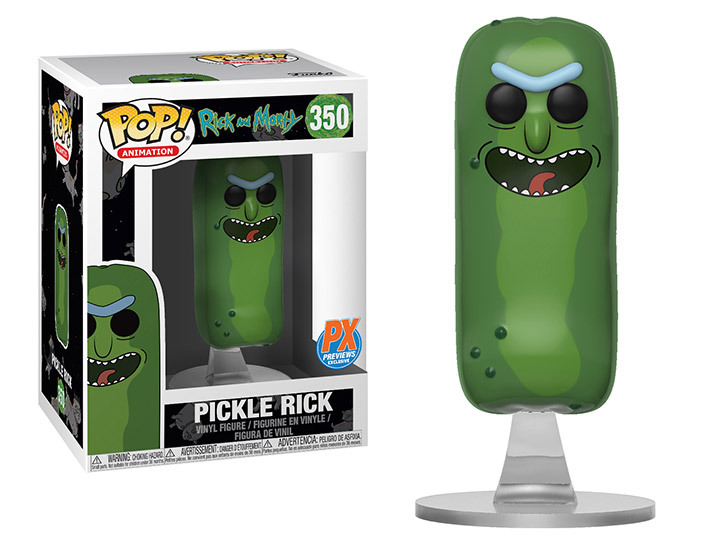 Pickle Rick stands 3 3/4" tall and comes with a handy display base. Window box packaging.